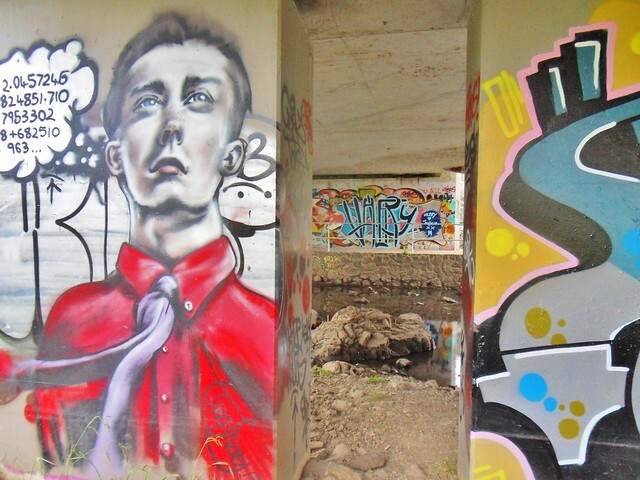 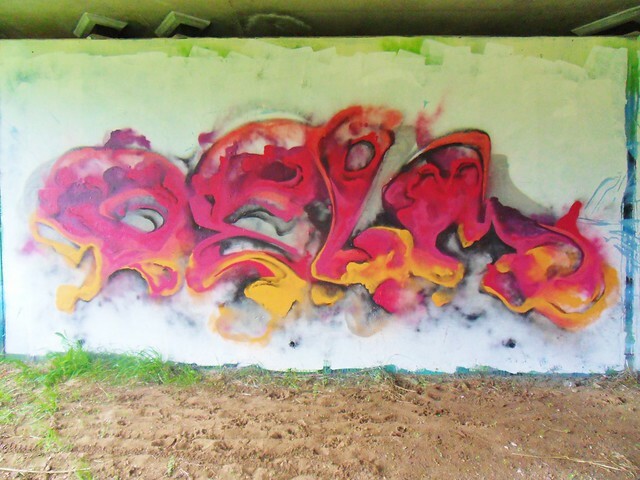 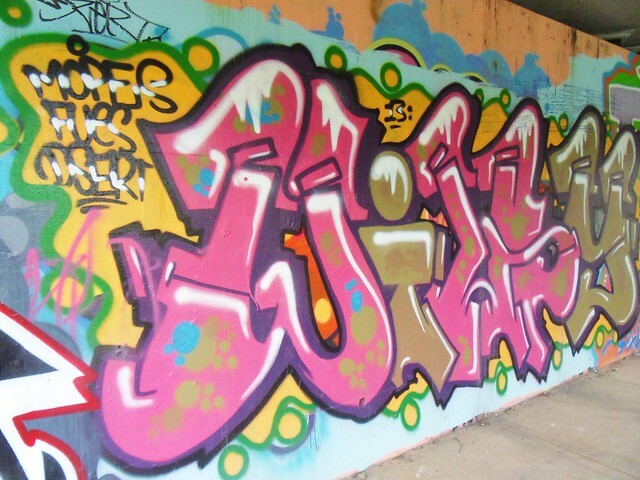 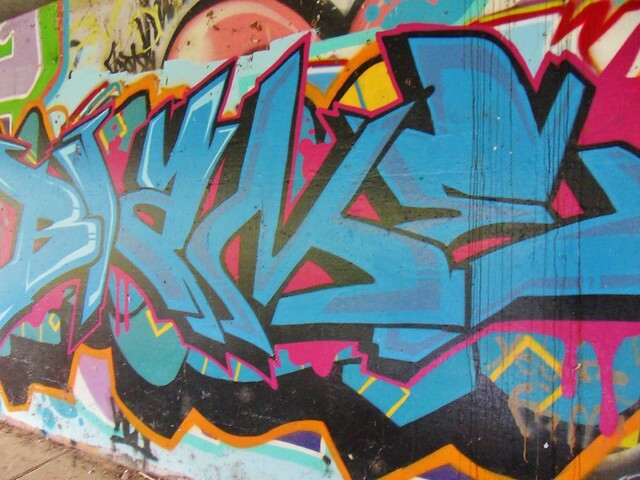 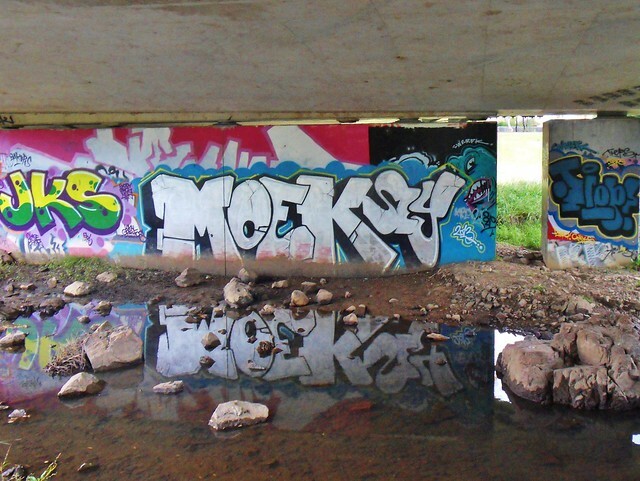 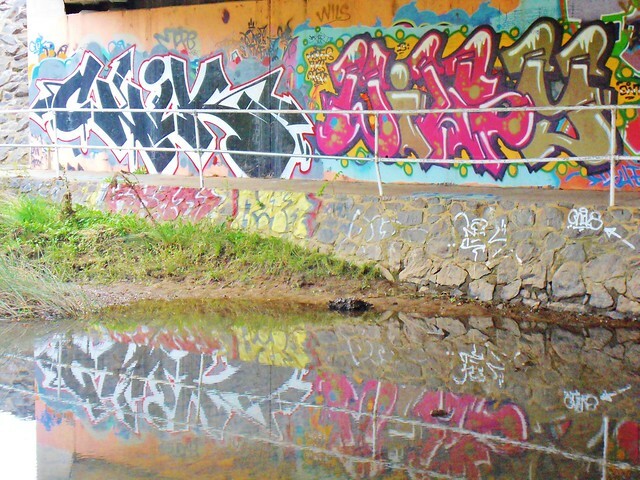 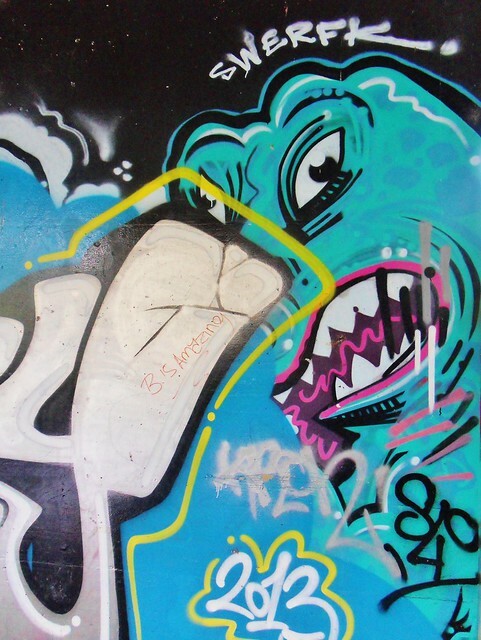 Another one of the 26 legal graffiti sites in Canberra is hidden under Ginninderra Drive. 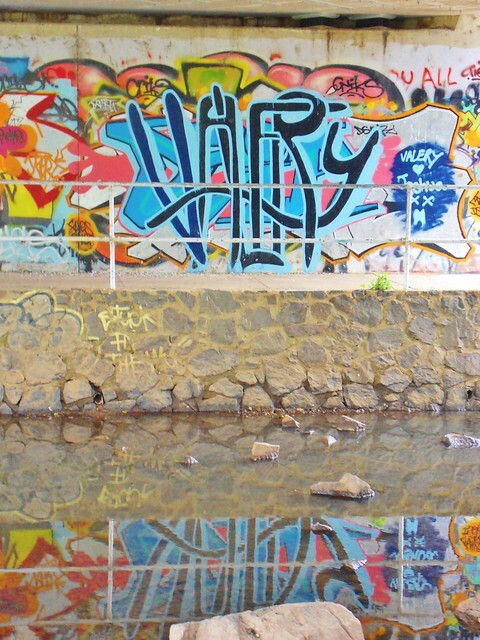 Just a few hundred metres before the turn for Charnwood is quite a spacious underpass, split into two main pathways, the spot features 4 long walls to paint, with the centre wall being broken into three main columns. 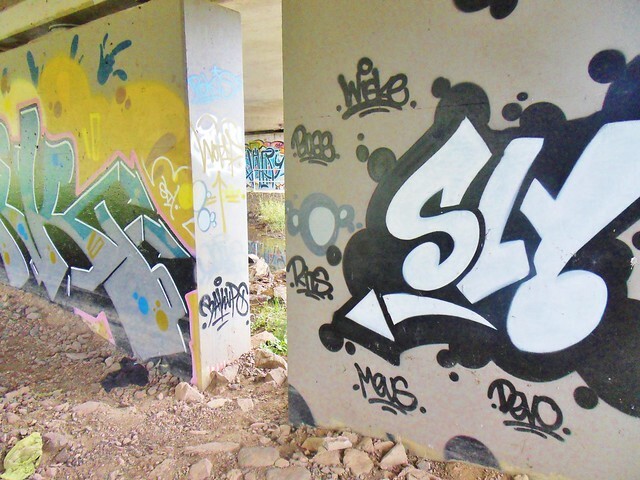 Long enough to feature several decent sized tags along the outer walls. 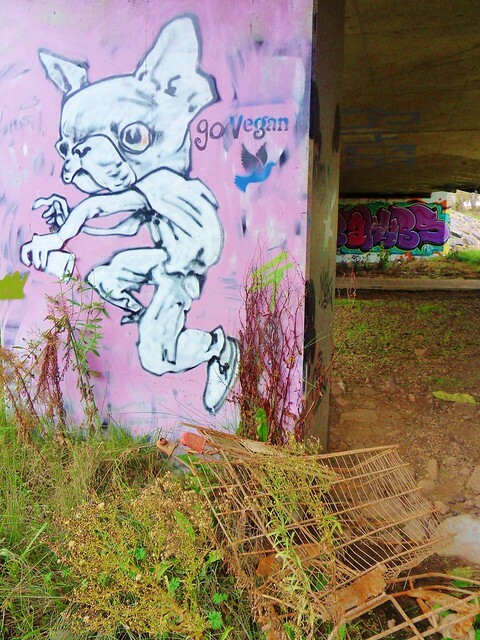 The centre columns feature a couple art pieces; a propaganda style portrait of a boy with an unidentified series of numbers, a bit of a dinosaur not yet entire covered creeping round the corner, and out on his own on the back of a pale pink column with a rusted and beat up trolley at it's base, a chiwawa with a spray can.